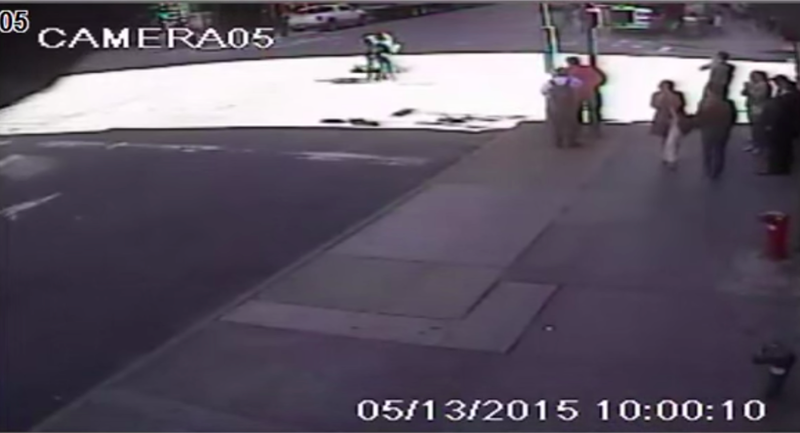 New York hammer attack video: Police shooting captured. Surveillance footage from after the moment of the shooting near the intersection of 37th St. and Eighth Ave. in Manhattan on Wednesday. Per DNAInfo New York, suspect David Baril has reportedly been arrested eight times, including for a previous attack on a police officer, and was treated at a Manhattan mental health facility as recently as this winter.